Stunning combination! Reminds me of a certain can of beer. For that mile high feel grab these! 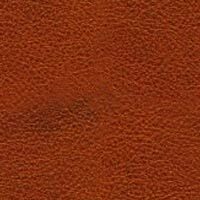 In honour of our long standing relationship with Mexico, Falconhead has choosen the colors of the Mexican flag to give these Mary Lous punch. Ole! 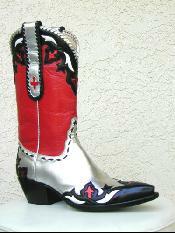 Passion went into this pair as it will when you wear them into your man's life. Heart pumping, blood rushing, fire breathing boots. Great for warm climates. When it's hot outside light colors are best. 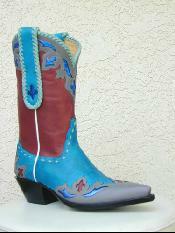 Ivory trims this boot and hints of sky blue finish it nicely. 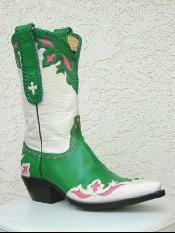 Hot pink accents and kelly green lacing with ivory. Fun for friend or foe. Dance a jig and have a pint at the pub in these babies! 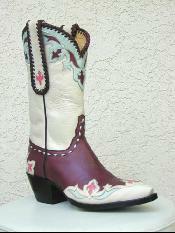 Burgandy and four colors of blue give the right balance to this Scott Wayne creation. A welcome addition to any collection and pair of feet. 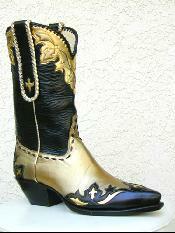 Black and gold, fleur-de-lis laced classic, glorious! Wow! Be the bell of the ball in these winners. 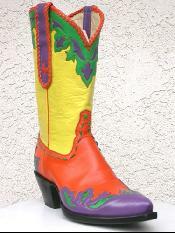 The joker boot. Batman shivers and Bruce Wayne quivers. Stately Wayne Manor will never be the same. Thanks scott. Lacing on the pulls and tops. Buck stitching up the sides and around the vamp. Gorgeous hand tooling throughout. 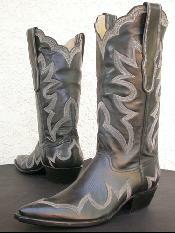 Very unique and special boots. 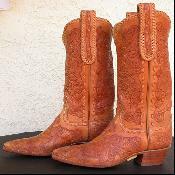 One of the custom boot makers in El Paso found an old sewing machine that was completely rusted, however he recognized that the machine was of excellent quality. After a thorough cleaning this is the result. Yes 2500! 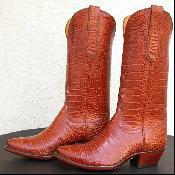 Hand hammered, one at a time by hand. Reflecting anything and everything. Very unique and not the expected. From Falconhead, call today. 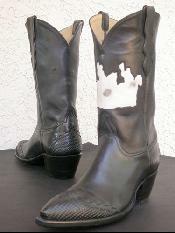 Tall black calf inlayed with green crocodile. 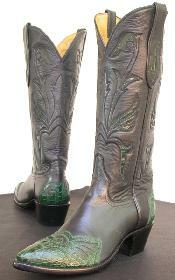 Wingtip and heel foxing in green as well. 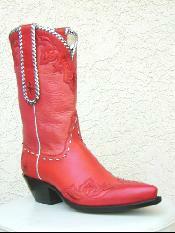 Classic combination, western wear beauties. Shot three times, and I'll call you in the morning. The Tres Outlaws logo actually shot through three times. Look closely and you will see where the shots came through the boots. 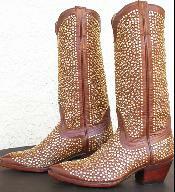 Extremely special boots. Done in all there alligator glory. Very difficult to acquire and when available a real art to match skins. Something we do best. 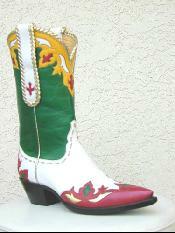 Tres Outlaws and Scott Wayne have won awards based on their beaded boots. 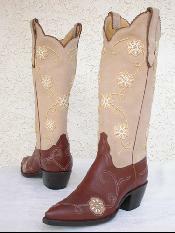 Tan calf uppers graced with blossoms. Milk chocolate colored bottoms.